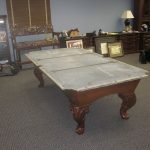 This is a pool table move job we did last week for an attorney who moved his Santa Ana, CA criminal law practice. 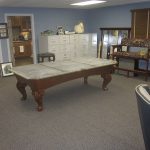 We setup this pool table in his former, shared law practice about four years ago. Apparently his law partners didn’t share his same enthusiasm for Billiards. 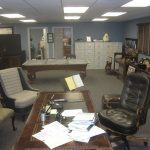 So he’s now in an upstairs law office without anyone to frown upon his interior design styles. 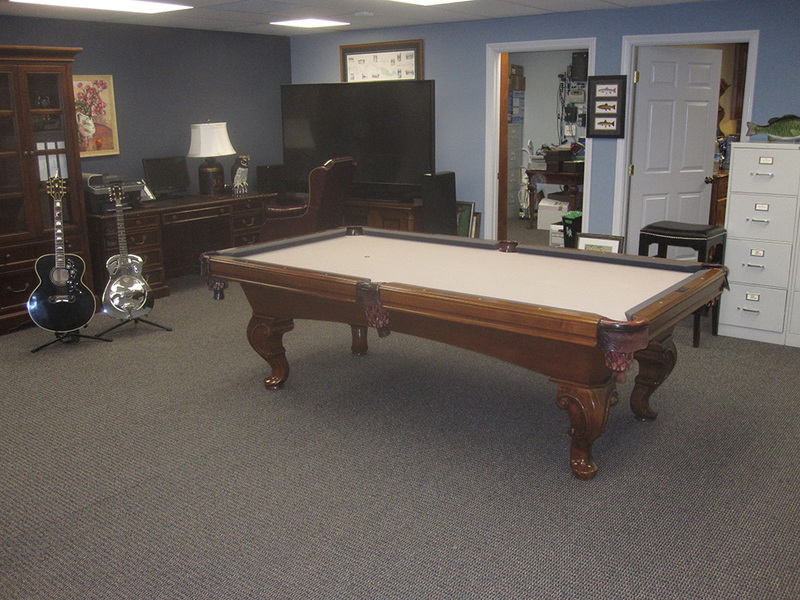 This eight foot, three piece slate pool table was custom built for him by the now defunct Best Billiards. My former boss, and former owner of Best Billiards in Santa Ana had his fingers in many pies. The pool table looked great, but it was a Frankenstein creation. It had Olhausen legs, Murrey and Sons slate, Chinese leather pockets and a custom made cabinet and set of rails. When it was all put together and custom stained, it looked great and probably cost a lot less than the Olhausen pool tables Rick was slinging out the door of his Santa Ana empire. Best Billiards was my second job in the billiards industry, and was one of the most educating and funnest jobs I’ve ever had. Thanks a million, Rick!